Your customers speak to you through many channels. Listen to what they are saying at every point in their journey. Customers provide feedback because they want to be heard. Let them know you are listening! 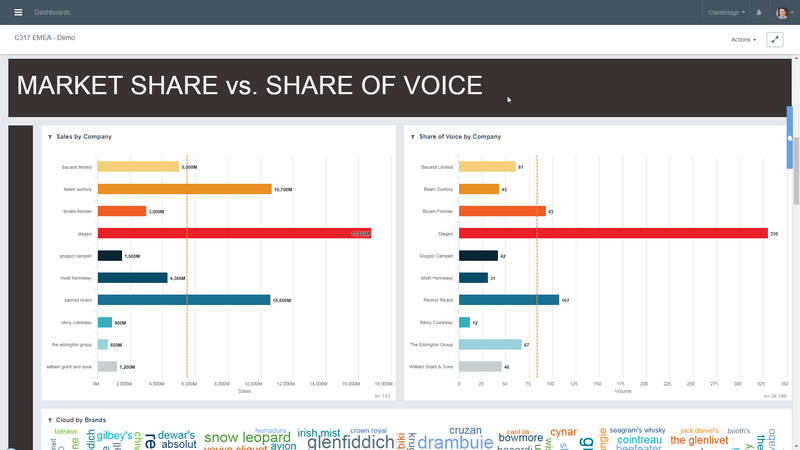 Clarabridge synthesizes feedback from survey, social, contact center and many more sources, spanning the entire journey, so you can hear the true voice of your customer. Import your SurveyMonkey data and begin to connect the dots between customer emotion, effort, and action with Clarabridge's text analytics and NLP designed to uncover correlations between what customers say, how they feel and how that influences the decisions they make. 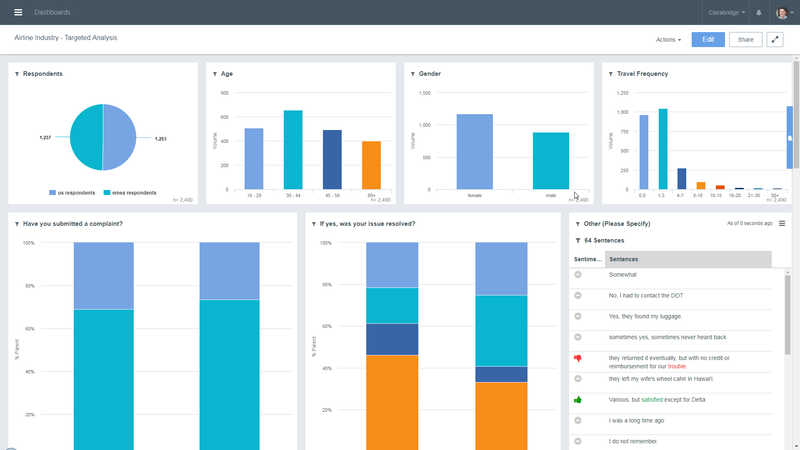 By leveraging robust dashboarding capabilities in CX Studio, you will be able to analyze your SurveyMonkey responses alongside other sources of customer feedback within your organization.